And standing in the photo above taken at Moscow Pride in 2010 with that sign, he says it so eloquently. 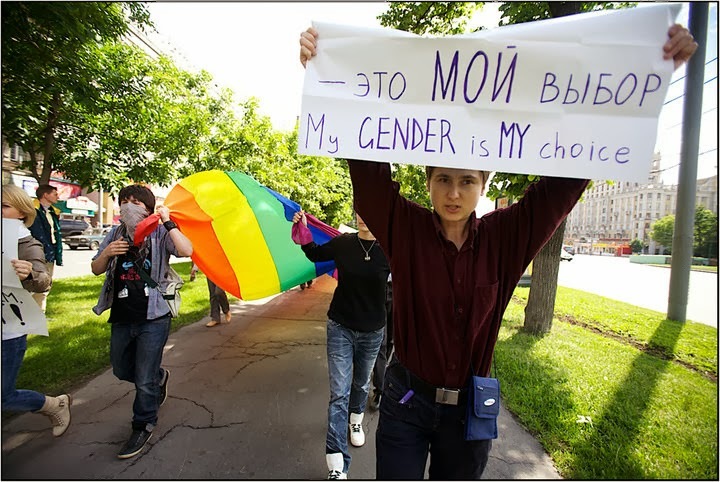 "My GENDER is MY choice"
Masha Bast is a lawyer. She's Russian. 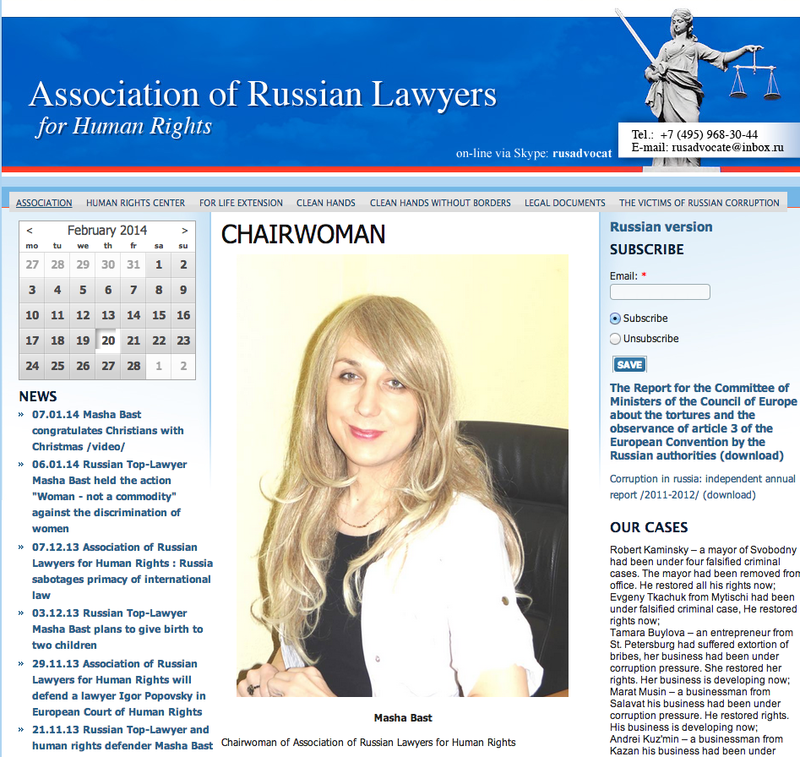 She's the Chairwoman of the Association of Russian Lawyers for Human Rights. And she is an openly bisexual transgender woman. "It isn't a matter of upbringing," Bast said. "It's nature. That's why I think the law against 'homosexual propaganda' is a law against children and one that targets certain social groups. It is a fascist law and nothing else." Bast also spoke about knowing that she was a girl from age 10, and even going to school dances dressed in women's clothing, though when she was growing up in Soviet Russia, there were no depictions of LGBT people that she could look to for inspiration. "You have to understand the complete lack of information on this subject," she explained. "According to statistics, there are thousands of people going through what I went through. Just imagine all the kids who have no idea what's happening to them. 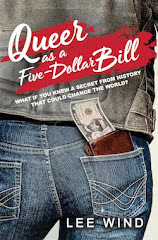 I never once met a homosexual in my childhood and only learned what a homosexual was when I was 14." Having the information kept from her about people who were like her didn't prevent Masha from becoming her authentic self - it only made the journey there more difficult. I completely relate to that. That's why this idea that you protect children by not letting them know LGBTQ people exist is so cruel and flawed. 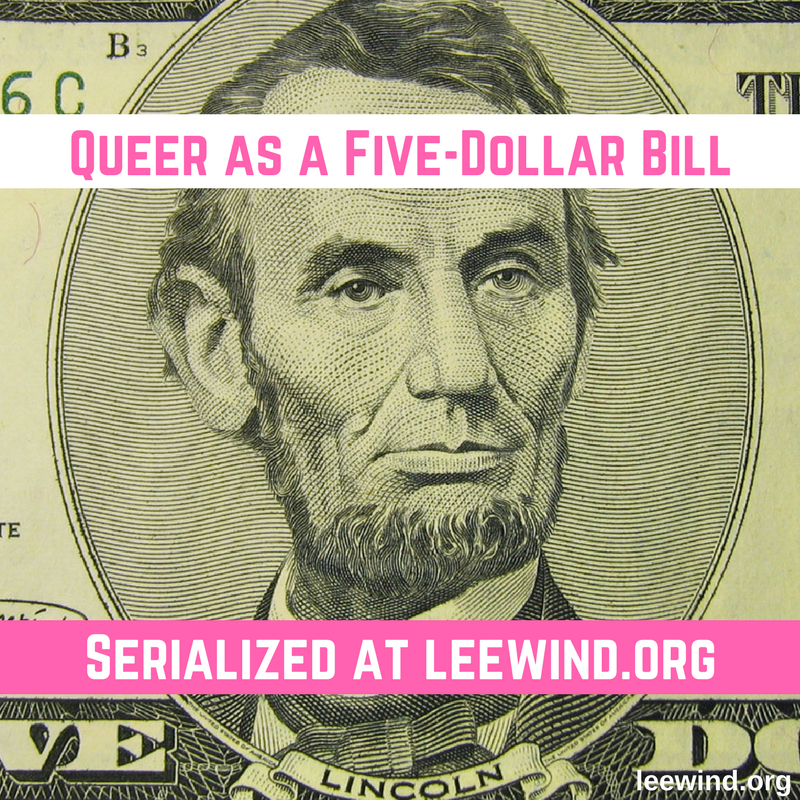 Because it demonizes queer kids - for both those kids themselves and everyone else. You can read more about Transgender Activism in Russia in this fascinating article by Yana Sitnikova at Freedom Requires Wings, and find out more about Masha in this Advocate article by Sunnivie Brydum, "Russian Lawyer Comes Out as Trans In Protest of Anti-LGBT Laws"
Celebrating Anno and Masha seems incredibly important. As far as I know, they're both in Russia, and I have sharing information that is widely available online. I have to speak out about them because their standing up -- being their authentic selves and speaking out -- is inspiring. There are so many bi, trans and gender non-conforming people in Russia, right now. And we need to give them a voice. Because Bisexual Russia, Transgender Russia and Gender-Queer Russia is something to celebrate!